was born in Slovakia but has a Sevillian soul. He started playing the guitar when he was twelve years old after listening once to Paco de Lucía. There began his lifelong romance with flamenco. In 1999 he moved to Seville where he lived and worked for six years. Instructed by Gerardo Nuñez and Niño de Pura he became a finalist in “Concurso internacional de guitarra flamenca de Niño Ricardo”. He performed at many concerts in Spain, France, Italy, Japan, Costa Rica, Germany, Russia, Turkey, and Peru. He was the opening act at Paco de Lucía, Gipsy Kings and Antonio Rey concerts. 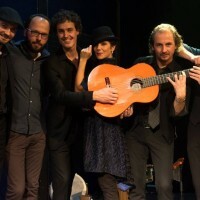 Putting together artists from all over Europe Morenito de Triana has created this unique project called Flamenco Experience 6.
was born in Vienna as a son of Serbian parents. 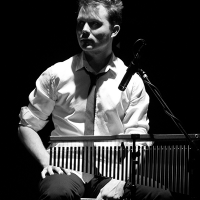 Nicola began developing an interest in music early in his life. 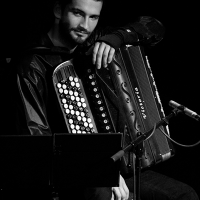 He began playing the accordion at the age of seven. He graduated from the Conservatory of Franz Schubert and collaborated on projects such as Vila Madalena, Vienna Balkan Groove, and Vienna Salon Orchestra. He has attracted public attention thanks to numerous prizes won at international competitions in Austria, Italy, and Serbia. 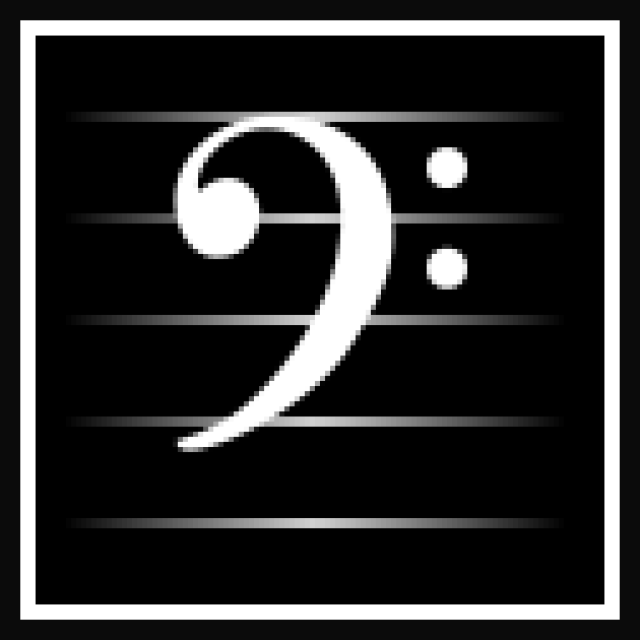 Nicola’s captivating musical skills provide an extraordinary auditory experience of music lovers of every kind. It is hard to imagine flamenco music without flamenco dance. Virginia Delgado was born in Madrid, graduated from the legendary dance academy Amor de Dios and studied Classical Dance and ballet at the Royal Conservatory in Madrid. 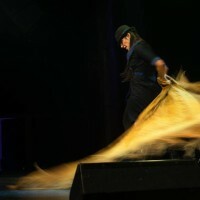 Her art has been introduced to audiences in Paris, Munich, Stuttgart, Dubrovnik and Bratislava. In 2013, she founded the first flamenco dance company in the Czech Republic called “Danza Flamenca – Virginia Delgado”. 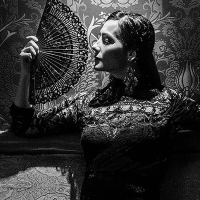 Virginia has created her own style of dance influenced more by ballet and contemporary dance with its roots firmly fixed on the tradition of flamenco. 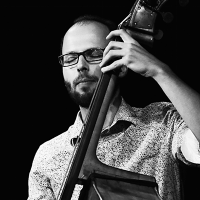 Michael Cába was musically shaped in childhood in a family of a jazz bass player Charles Cába. At the age of 13 Michael began his studies of drums and percussion under the leadership of a drummer Ivan Audes. His other teachers were, among others, George Nightingale, Ángel “Cepillo” Sanchéz, Yuvisney Aguilar Rojas, Pedro Pablo Mireles, Manley “El Piri” López, Calixto Oviedo, Yomar Amador Morejón, Marvin Diz, El Panga, Rodney Barretto, Guillermo del Toro Varela, and Luis Chacón Coca Riverón. 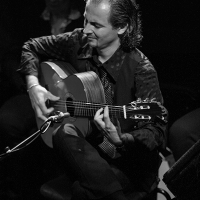 Michael has extensive experience of playing in groups, such as Los Remedios, Flamenco Element, Arsa y Toma. In addition to flamenco cajones, he specializes in Afro-Cuban instruments, such as congas, bongo, timbales and Batá drums. He taught at Music School Chválenická in Plzeň and at Elementary School of Arts in Stod. 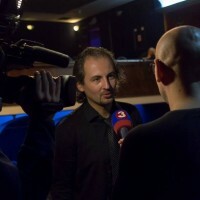 Saxophonist and jazz pianist formed at Jaroslav Ježek Musical School under the leadership of Javoslav Placek, Jakub Zommer, Ondrej Kabrna and Matej Benk. Václav Greif is an impressive jazz musician of his time. He led an improvisation workshop at Plzeň Conservatory, worked as an accompanist at the J. K. Tyl Theatre and arranged music for several theater productions. 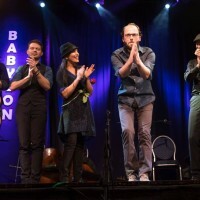 Václav’s Afro-Cuban, clave-based rhythms with jazz harmonies and improvisation techniques add a unique sound to Flamenco Experience 6. 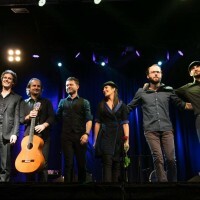 He regularly performs with many local and foreign flamenco artists and is a member of several music groups, such as “Timbasa Timba”, “Petr Beneš & Jeepers Creepers”, “Jazz and Swing”. 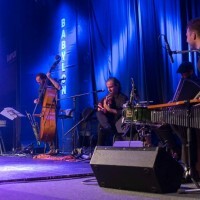 Is among the most respected jazz double bass players in the Czech Republic. 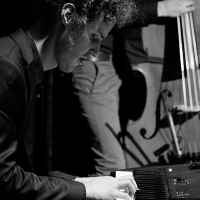 He studied at the Conservatory of Jaroslav Jezek in Prague and at the prestigious Berlin Jazz Institute Berlin with renowned American players and educators Greg Cohen and John Hollenbeck. 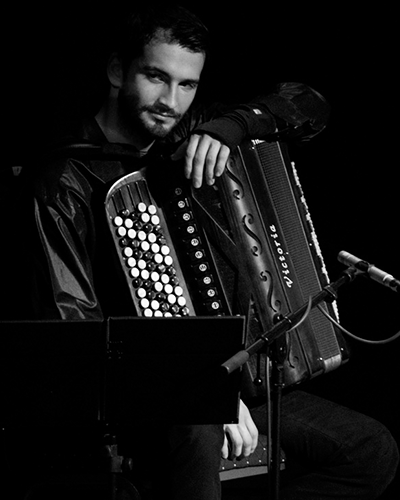 Tomas performs at noted jazz festivals and concert halls throughout Europe, the United States, Latin America and Africa. He has received several awards from major jazz festivals in Poland, Belgium and Spain. His album Invisible World was nominated in the Czech Grammy music awards – Anděl 2009. Currently, he has collaborated with musicians, such as Steve Walsh (USA), Carlie Oswald (NL), Lenka Dusilová, and Yvonne Sanchez.